Skew Skills: "Making the Cuts!" This resource is designed to accompany my instruction involving the amazingly simple & widely misunderstood tool, the skew. Turning Square-Rim Bowls: "Resonance Series"
This resource is designed to accompany my instruction of turning square, face-grain bowls using the steps I follow to turn my Resonance pieces. Turning Endgrain Bowls: "Namaste Series"
This resource is designed to accompany my instruction of turning endgrain bowls using the steps I follow to turn my Namaste pieces. This resource is designed to accompany my instruction of turning multi-axis sculptural pieces using spindle turning techniques I follow to create pieces in my Resilience Series. This resource is designed to accompany my instruction of turning a variety of projects including spindle, endgrain, & facegrain orientation. Focus is on maximizing the use of basic tools to go beyond the basics of practice projects! The Art of Sharpening: Edges to Shave With! 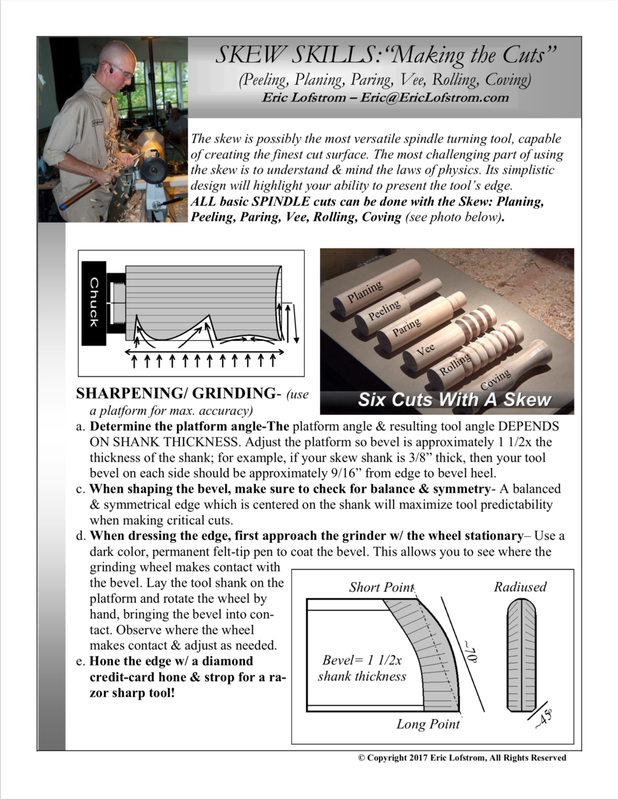 This resource is designed to accompany my instruction of sharpening techniques. During this session, I break sharpening down into the fundamental concepts of creating a true edge, then we explore developing foundational skills to create razor sharp, yet durable edges for each of the basic turning tools.